Cypermethrin is a synthetic pyrethroid that acts as a neurotoxin and is used on large scale in both agricultural and domestic purposes. It is easily degraded on soil and plants but can be effective for weeks when applied to indoor inert surfaces. Sometimes it develops tingling, burning, dizziness, and itching to the operator which is why there is a need to develop a safe and effective formulation, which can release cypermethrin under controlled conditions. 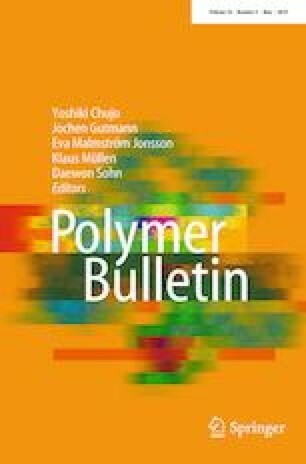 In this communication, we report a successful encapsulation of cypermethrin within shell of phenol formaldehyde (PF). A series of PF microcapsules have been prepared at various loading percentage and varying agitation rates by in situ polymerization. The formulation consists of mainly two parts, namely emulsification of the oil and wall formation. The morphology of formulated microcapsules was confirmed initially by observing under optical microscope and further with FESEM, which indicated spherical shape, smooth surface, and rigid nature to the microcapsules. The microcapsules were characterized by FTIR, TGA, and particle size analyzer. 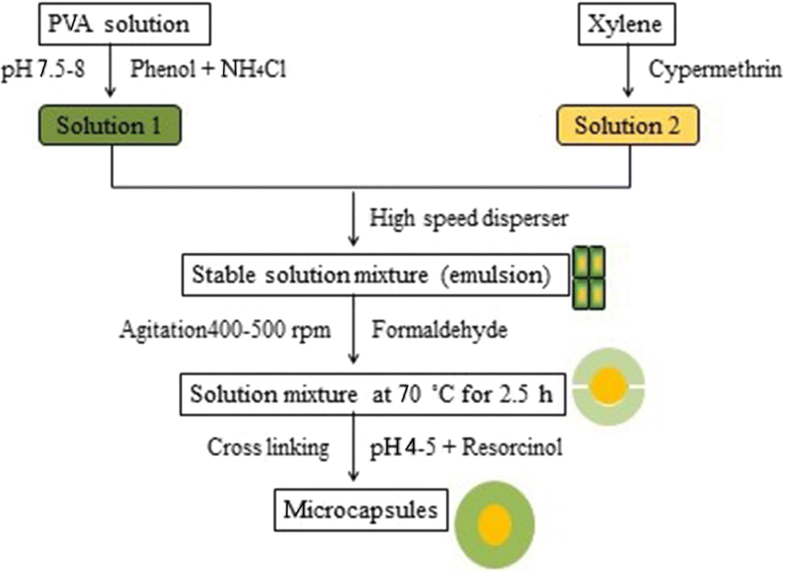 Release rate of cypermethrin from polymeric microcapsules was calculated by UV spectrophotometer and also by a simple gravimetric method. The stable, safe, and controlled release formulation of easily degradable, highly burning and etching cypermethrin is the success of our present work. The online version of this article ( https://doi.org/10.1007/s00289-018-2508-6) contains supplementary material, which is available to authorized users. RSB thanks to UGC, New Delhi, for SAP (DSA-I) for providing funding for characterizations, PSK thanks to Gharda Chemicals Ltd. for providing active ingredients (Cypermethrin). Funding was provided by Research Grants Council, University Grants Commission (Grant No. F-4-6/2015/DSA-I (SAP-II), dated 09/02/2015).